Can I change the default filenames for my generated invoices? 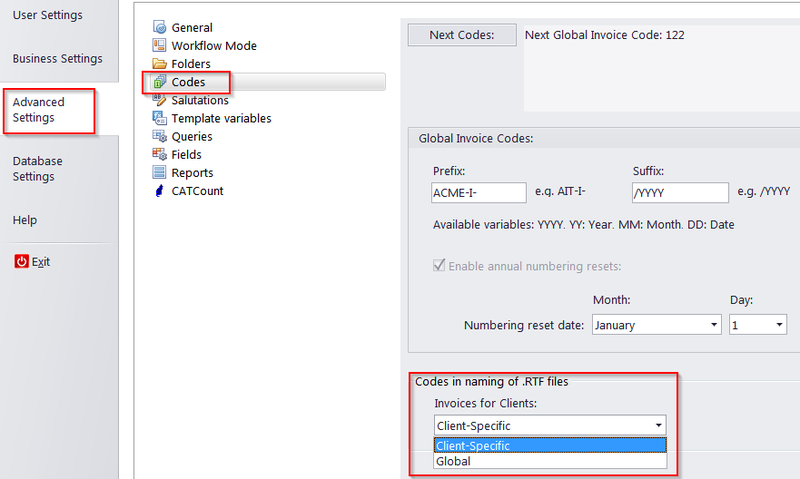 You can set your default invoice filenames to include either client specific codes or global invoice codes. You can switch between these options at Backstage View > Advanced Settings > Codes.